New for the Autumn/Winter ‘18 season is the Arranmore collection, a range of luxuriously cosy and tactile scarves, hats and mittens for men and women crafted using Donegal yarn from Ireland. 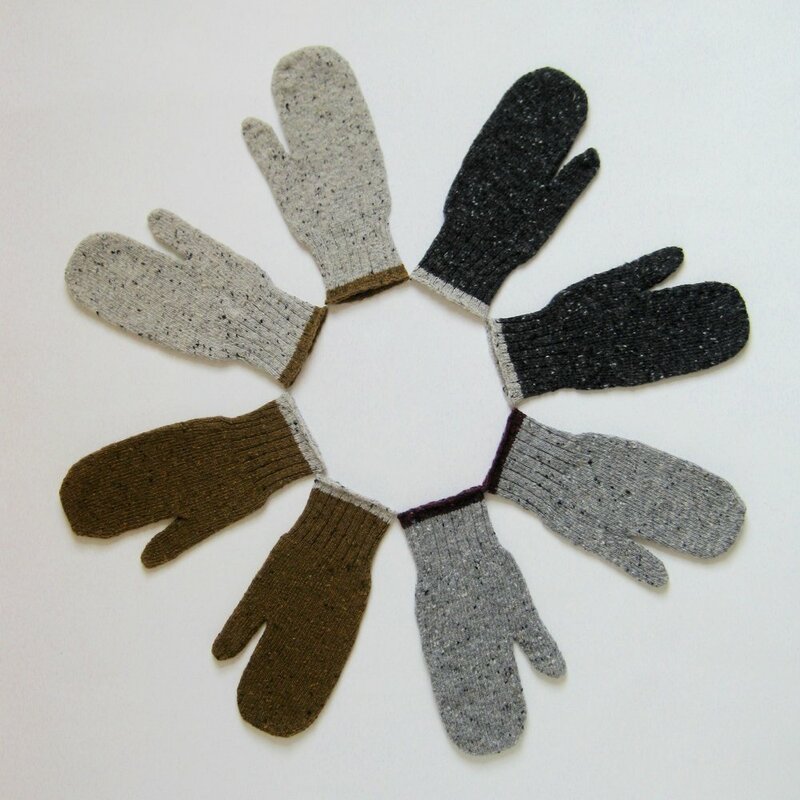 The Donegal wool is spun in a traditional woollen spun method using skills handed down through generation. 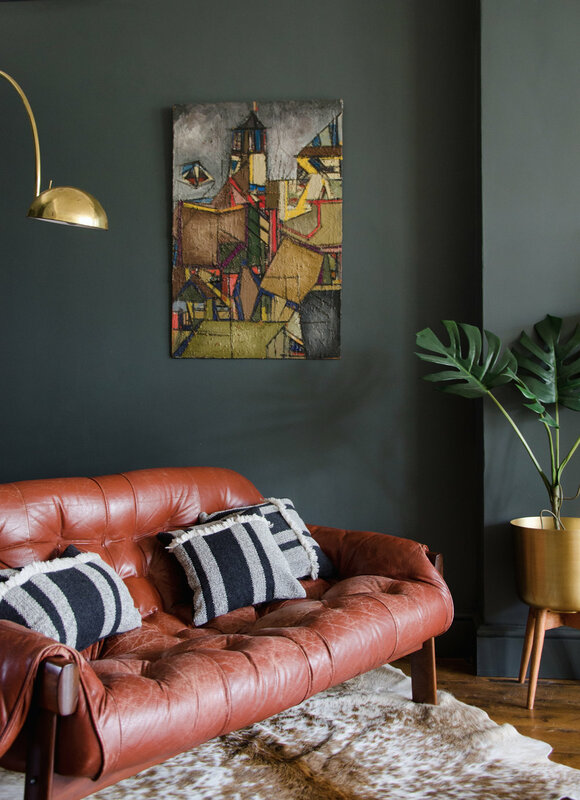 It is renowned for its distinctive and beautifully subtle flecks of colour that are reminiscent of the rock, heather, bracken, moss, peat and sky in the local landscape. 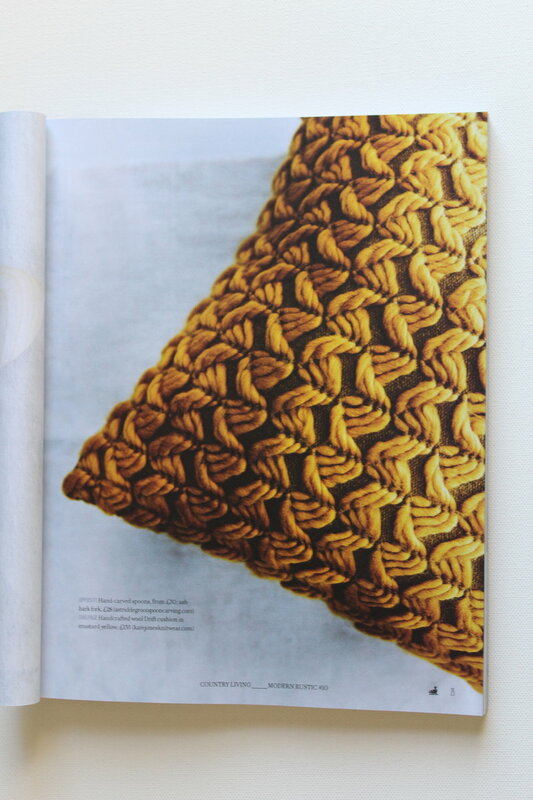 It has all the ingredients of the traditional homespun Donegal tweed yarn. Head over to the online shop to view the full collection. 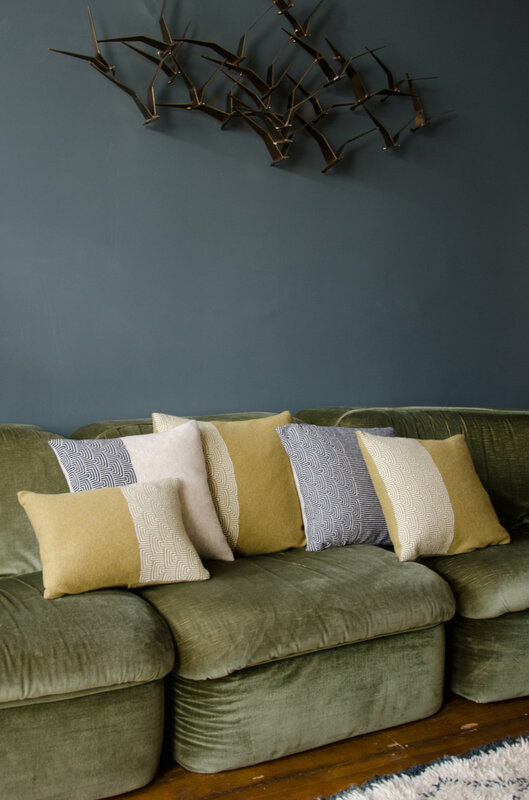 I recently shot the latest collection of cushions and throws in the stylish Ramsgate apartment of Wendy Aldridge ( of Homeplace ) with its' inky walls and beautiful mid-century furniture, with Harriet Bentley Photography. 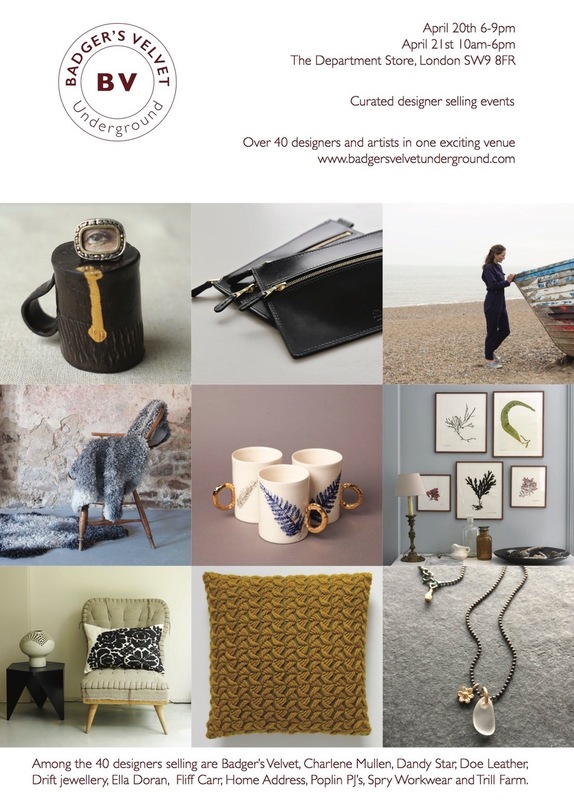 Charlene Mullen, Ella Doran, Badgers Velvet, Doe Leather, Spry Workwear and Drift Jewellery. I'll be showing lots of new designs plus one-off studio samples. 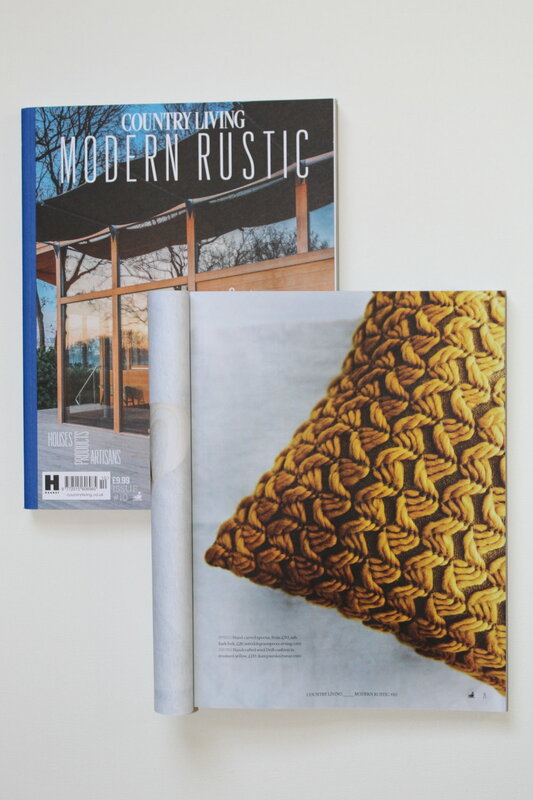 Very pleased to see the mustard-yellow Drift cushion included in 'Objects of Desire' in Issue 10 of Modern Rustic. 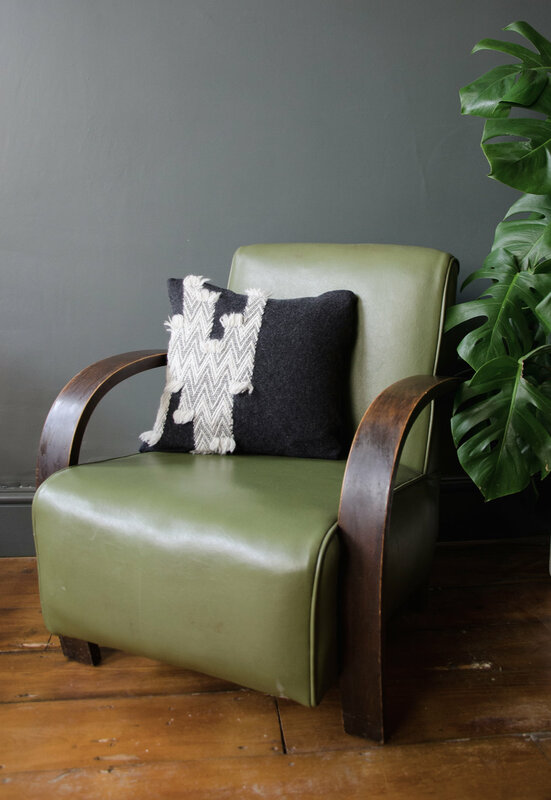 Join us for the first designer maker sample sale to be held at The Forge, Craft Central. 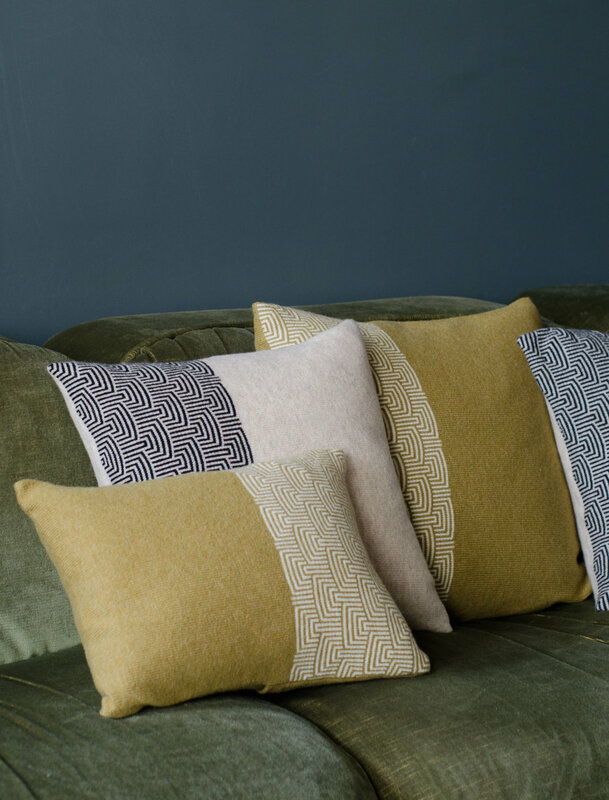 I'll be selling accessories and cushions in finest cashmere and lambswool from past collections, plus unique samples and one-off pieces with price reductions of 20-75%. Also on offer will be a range of ceramics, interior products, jewellery, prints and textiles from a host of accomplished designer/makers. It's a great opportunity to pick up a special piece for yourself or a loved one at a discounted rate.